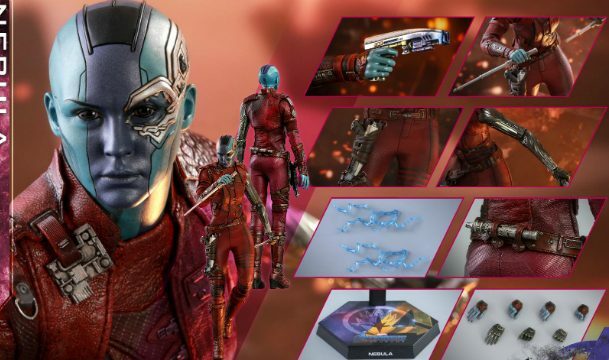 Look into the eyes of this Avengers: Endgame Nebula image. Years of agony come across in those eyes, which have seen physical torture and emotional coldness from her adopted father, the mad titan Thanos. Karen Gillan manages to convey that pain and channel it into rage onscreen. But that isn’t her above — it’s a toy. Yes, Hot Toys once again has worked some kind of wizardry in capturing a likeness. But not just any likeness: it’s Gillan emoting, rather than just plain Gillan. A lot is conveyed in that look. And if the comics are anything to go by, it’s only going to get harder for her in Avengers: Endgame. 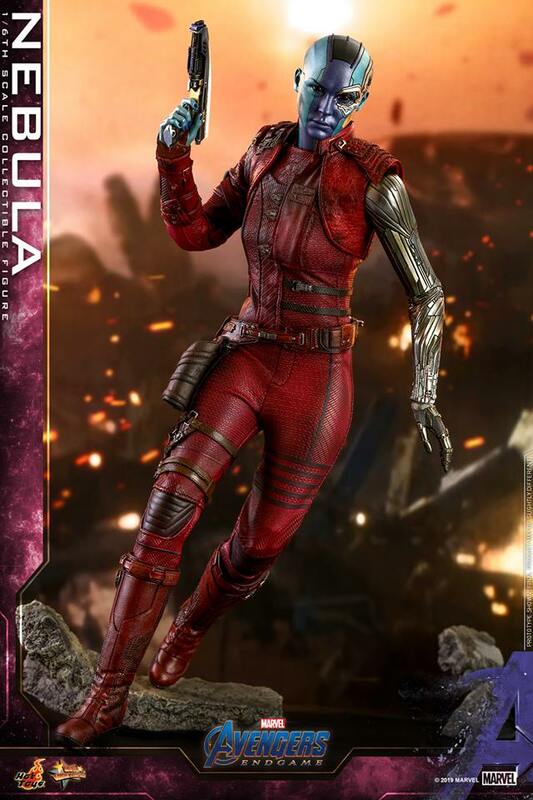 Alongside Rocket, she’s one of only two Guardians of the Galaxy left alive. 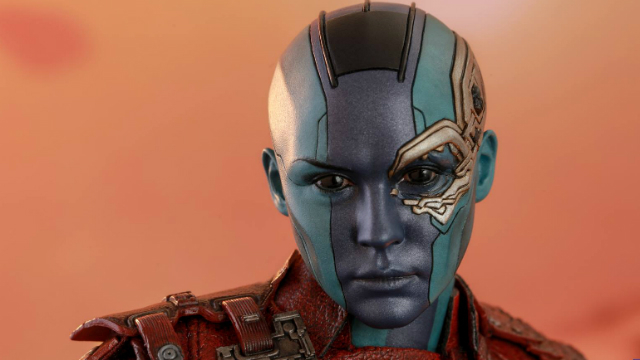 Check out our gallery below for more images of Hot Toys’ Nebula figure. The 12-inch collectible is expected to arrive second quarter of next year, and can be preordered for $235. Payment plans are indeed available. Are you equipping your collection with this deadly cyborg? Let us know what you think in comments below. Avengers: Endgame opens April 26th in theaters nationwide.